No horse race cuts through to the wider public quite like the Grand National. The marathon handicap is one of the biggest events of the British sporting calendar and will once again attract thousands of fans to Aintree Racecourse and attract millions of television viewers. It is, however, just one race of the three day Grand National Festival which includes several Grade level and handicap races for racing fans to get their teeth stuck into. As is always the case in the days and weeks leading up to the Grand National there have been a number of high profile withdrawals. Bristol De Mai, who was set to be top weight for the race, will not be competing nor will the well fancied Blaklion. The undoubted star of the race, last year’s winner Tiger Roll, has been given the green light to defend his title though which has delighted racing fans. The other big news involving entries surrounds the Aintree Hurdle in which Buveur d’Air is set to face off against Benie Des Dieux, Faugheen and Melon. One week before the Grand National, vandals broke into Aintree and drove over the course doing some minor damage. There was a fear that the damage would be worsened by the rain forecast for much of the week leading up to Saturday but officials at the track aren’t overly worried about the prospect. Clerk of the course, Andrew Tullock, told the media that his prediction is for the ground to be approaching good on the Grand National and Mildmay courses. The Grand National Festival gets off to an incredibly strong start. Thursday’s card is packed with top class action and excellent opportunities for punters including four Grade 1s, a top class example of hunter chasing and a valuable handicap. The Manifesto Novices’ Chase gets the Grand National Festival off to a high class start. It is a Grade 1 chase run over two and a half miles and some highly promising chasers are set to compete in this 12 runner affair. Connections of the likes of Kalashnikov and Bags Groove are hopeful that their charges can right the wrongs of a fairly frustrating season and start to really fulfil their promise but this really does look to be a head to head contest between the top two in the betting – Defi Du Seuil and Glen Forsa. Glen Forsa headed to Cheltenahm in very good form following a highly impressive win at Sandown. Unfortunately, he made a surprising error when travelling well in the Arkle unseated his rider. Hopes remains high that he will be able to put that mistake behind him and return to an upward trajectory by beating Defi Du Seuil who was excellent when landing the JLT Novices’ Chase. It’s a tough ask as he’s stepping up in trip but Glen Forsa has the quality to be a top class chaser and can show why by winning the Manifesto Novices’ Chase at 9/2 with Coral. A collection of the best prospects in National Hunt racing will compete in the Anniversary Juvenile Hurdle. Sir Erec will be a keenly felt loss to this field after he was tragically put down during the Triumph Hurdle at Cheltenham. The celebrations of Pentland Hills’ connections were understandably muted that day but they could not help but be delighted with his win at 20/1. You won’t get anything like that price for Pentland Hills’ assignment in the Anniversary Hurdle. He is the favourite for the race at a general 6/4. Racing fans will learn a great deal about Nicky Henderson’s charge at Aintree but it’s questionable whether that price reflects value with so many questions about every four-year-old in the race. Perhaps a better option would be Fakir D’oudairies at 11/2 with Ladbrokes. He ran fairly well in the Supreme Novices’ Hurdle but was unable to serve it up to his elders in the Cheltenham opener. He should be all the better for that experience and can return to winning ways against his fellow juveniles. The Betway Bowl received a welcome boost with the news that Bristol De Mai will be running in the Grade 1 contest rather than taking up the option of competing in the Grand National. Connections clearly didn’t feel that carrying top weight was a fair reflection of his ability to win the big one whilst the eight-year-old comes into the Betway Bowl on the back of one of his best performances. Bristol De Mai showed that he is more than just a mudlark who wins at Haydock by finishing third in the Cheltenham Gold Cup. There’s a debate to be had about whether that reflects more on his class or if it means that the chances of out and out stayers are improving in the Gold Cup, either way, Bristol De Mai is coming in for plenty of support in the betting for the Betway Bowl. Clan Des Obeaux and Kemboy are the two main challengers to Bristol De Mai. The former looked to just run out of steam in the Gold Cup whilst the latter did not complete at Cheltenham. Both have more than enough quality to put their disappointments at Cheltenham behind them but preference goes to Bristol De Mai who may be hitting his peak and can utilise both his stamina and jumping quality to get this his class field beaten at 7/2 with Betfair. The Aintree Hurdle is always one of the most exciting hurdle races of the year. At this point of the season we have already seen the best hurdlers compete in various different high class affairs so there is a large amount of recent form to go on ahead of the clash between Buveur d’Air, Benie Des Dieux, Melon and Faugheen. The depth in quality of this race stretches far down the market with Verdana Blue (14/1) and Supasundae (16/1) both worthy of each way consideration. It is Buveur d’Air who is the clear favourite though at a best price of 11/10 with bet365 despite the fact that his attempts to win the Champion Hurdle for the third year in a row ended with a fall at the third hurdle. That was the second costly mistake this season after a fall in the Fighting Fight Hurdle. The number of mistakes he has made this season are a worry but Buveur d’Air remains the best hurdler around when he gets things right so is worthy of his position at the head of the market. Other than his own jumping, the biggest threat to Buveur d’Air is Melon. He finally looked like the horse that connections have long believed him to be when finishing second to Espoir D’Allen in the Champion Hurdle. That was a very good performance indeed even taking into account the poor performances of the market principles. He’ll need even more improvement on his Aintree debut but is surely tempting even for an each way bet at 11/2 with BetVictor. The Foxhunters’ Steeple Chase is one of the feature races of the first day of the Grand National Festival. Hunter chasing is a special part of National Hunt racing and this race is right up there with the best examples of it along with the Foxhunters’ Chase at the Cheltenham Festival. Although it is a big field event and open only to amateur jockeys which adds a further complication, the Foxhunters’ Steeple Chase has been a happy hunting ground for the most fancied horses with just three of the last 16 winners going off at a bigger price than 13/2. Punters are advised to focus on the top portion of the market and may not have to look any further than the favourite. Road To Rome has had tremendous success in hunter chases this season but whether because of the aggressive tactics employed or the challenge of running 3m2½f at Cheltenham, he was unable to be a real threat last time out in the St James’s Place Foxhunter Challenge Cup. The drop down in trip should suit this reliable nine-year-old very well as will the expected good to soft ground so don’t be put off backing the favourite at 9/2 with bet365. Day two of the Grand National Festival is Ladies Day. Aintree and their sponsors award some highly desirable prizes for the most stylish racegoers on Friday but it is the generous prizes on offer with the racing that will occupy the minds of punters both at the track and watching on from home. Incoming form has proven to be very important in recent renewals of the Top Novices’ Hurdle. It is also a contest in which the winner is often drawn from the top few options in the market so connections of Precious Cargo will be feeling confident about their six-year-old’s chances of landing the healthy winning prize of £56,000. Aramon and Itchy Feet are worthy of their lofty place in the market but they both struggled for their very best at Cheltenham. Precious Cargo, by contrast, skipped the Festival so should be raring to go on Friday. Nicky Henderson is not going to get over excited about Precious Cargo’s chances but there is every chance he’ll be the latest to use the Top Novices’ Hurdle as a springboard towards success as a chaser, so back him to win at 6/1 with Ladbrokes. The Mildmay Novices’ Chase is among the most important races for high quality novice staying chasers. This 3m1f contest has produced several horses who have gone on to win massive staying chases including the Cheltenham Gold Cup and Topofthegame, who is favourite for Friday’s renewal, looks to have what it takes to kick on when graduating out of the novice division. Paul Nicholls’ seven-year-old bolstered his already growing reputation with an accomplished win in the RSA Chase at Cheltenham last month. Helped by an excellent and patient ride from Harry Cobden, Topofthegame silenced the critics who suggested that he had an inability to win and is rightfully the favourite for the Mildmay. He is even getting some support in the ante post markets for next year’s Cheltenham Gold Cup and could see his price cut with another big win at 11/10 with Betfair. After a hugely impressive win in the Ascot Chase it was a shame that Cyrname did not compete at the Cheltenham Festival. Racing fans would love him to make a comeback at Aintree but it is touch and go as to whether Cyrname will be in attendance so it is his stablemate, Politologue, who is the favourite for this one at a best price of 5/2 with BetVictor. He was among those beaten by Cyrname at Ascot but was arguably better than ever when finishing under two lengths behind Altior in in the Queen Mother Champion Chase. Nicholls clearly hopes that stepping Politologue back up to 2m4f will bring even further improvement and the market agrees. Road To Respect is the big danger to the favourite and Noel Meade’s eight-year-old has been backed into a general 11/2. It’s the favourite who remains the most likely winner though and 5/2 is a fair price. The Topham Chase is right up there with the best handicaps run during the Grand National Festival. Punters love the challenge of trying to unpick a race in which the vast majority of recent winners were sent off at a double figure price and with 30 runners set to go to post we have yet another competitive betting heat ahead. Market leader, Janika, ticks many of the boxes required of a Topham Chase winner but the six-year-old is surely carrying too much weight at 11st 12lb. In fact, horses carrying over 10st 7lb have really struggled to finish strongly in this 2m5f contest. Flying Angel is one who stands out in the betting given that he is set to carry a workable 10st 6lb on Friday. Aintree was actually the sight of Nigel Twiston-Davies’ eight-year-old’s most recent win, and although that was back in 2017 he has done a lot of good work in handicaps since then. That includes finishing fifth in the Ultima Handicap at Cheltenham over a trip that was longer than that at which he has been proven before, and with 10st 13lb on his back. Dropping back in trip and some more lenient handicapping could see Flying Angel get back in the winner’s circle but many punters will view an each way bet as the safer option at 25/1 with BetVictor. Grand National Day – Can Tiger Roll Successfully Defend? Excitement for the Grand National will reach fever pitch during the third and final day of the festival at Aintree. The early races on the card contain some competitive and fascinating contests but it’s all about the big one with Tiger Roll being backed to go down in history by completing the double. Champ was given a very big billing ahead of the Ballymore Novices’ Hurdle at the Cheltenham Festival. Connections feel bullish about the seven-year-old’s chances of becoming a chaser capable of competing at the very highest level and although he didn’t win at Cheltenham there was little wrong with his performance, he just found City Island too rugged in the closing stages. The road to winning the best races is never straightforward and Nicky Henderson still very much believes in Champ. He will need to be at his best to get past Brewin’upastorm who heads the betting but Champ looks a very good price to do just that at 5/1 with Betfred. Also known as the Liverpool Hurdle, the Ryanair Stayers’ Hurdle is a prestigious Grade 1 in which the field must jump 13 hurdles and run a distance of just over 3 miles. It has been won by some high quality staying hurdlers over the years and Gordon Elliott is using it as an attempt to restore some of Apple’s Jade’s damaged reputation. She was heavily supported for the Champion Hurdle but was once again well below her best at Cheltenham and given her issues at this time of year before it’s tough to support her at a generally available 2/1. There is value to be had about another horse whose reputation took a bit of hammering last time out. Unowhatimeanharry was well below his best last time out at Cheltenham in January which was especially disappointing given that he won the Long Distance Hurdle at Newbury in November. The vet’s report that he had been bleeding from the nose offered an excuse for Unowhatimeanharry who has been given plenty of time to recuperate and could therefore be a real contender at 12/1 with bet365. This is the race that the whole Grand National Festival has been building up to. No race creates as much of a buzz as this and the build up for the 2019 renewal suggests it is shaping up to be a classic. The presence of Tiger Roll as the firmest Grand National favourite for some time has given the race a rather different feel to normal and whilst many punters will understandably bristle at a horse being available at a general price of 7/2, there is little doubt that Tiger Roll is the most likely winner of the Grand National. Gordon Elliott’s nine-year-old is a better horse than 12 months ago and despite coming into his defence on the back of consecutive wins in two very different sorts of races, has been dealt with relatively leniently by the handicapper. The only concern about Tiger Roll is the price but given the nature of the Grand National that can be somewhat mitigated by supplementing a bet on the favourite with an each way bet or two. Rathvinden is the first horse to consider backing each way at 10/1 with bet365. The trends may show that Willie Mullins’ 11-year-old is a little old for the Grand National but he was as good as ever last time out when winning the Bobbyjo Chase at Fairyhouse where he looked as sharp and fluid over fences, as is required to win the Grand National. Finally, Ramses De Teillee looks very good value at 25/1 with Betfred. The main problem David Pipe’s seven-year-old has is that he is too keen to race early on. In both the Welsh Grand National and the Grand National Trial at Haydock he was too tired to hang on for the win and had to settle for second. Those narrow defeats should stand him in good stead though as Pipe and David Noonan know they’ll need to keep him from going off too hard early doors. If they get the tactics right, Ramses De Teillee has a very good opportunity to get amongst the places. There are few horse races as well known across the world as the Grand National. It’s an institution of horse racing and British sport that still attracts tens of millions of viewers each and every year. The Grand National is always incredibly oversubscribed but there are a huge number of top quality National Hunt horses who just aren’t bred to be competitive over anything like four miles. Thankfully, there are plenty of other options during the three day Grand National Festival, which culminates with the big race itself. There is nothing else quite like the Grand National in all of horse racing. The Cheltenham Festival and Royal Ascot all have mass appeal but the amount of interest in the Grand National and the number of bets placed on the race each year is on another level. Upon first glance, it may seem strange that the Grand National is the most popular betting race of the year despite being one of the trickiest races to predict. That, however, is the key element of its appeal. Those who make their picks through syndicates at work or because they like the name of a particular horse have almost as much chance of backing the winner of the Grand National as the most seasoned racing punter. We’ve seen short priced favourites, 100/1 shots and everything in between win the Grand National which helps to open it up far beyond the racing fraternity. There are several reasons why the Grand National is so tough to predict. For a start, it’s run over a distance of 4 miles 514 yards. Then there are the 40 runners in the field, each of whom must successfully navigate 30 incredibly demanding fences. The qualifying criteria for the most lucrative handicap in racing (the prize fund now tops £1 million) include a minimum age of seven and a minimum official rating of 120. Here are some stats and facts about the Grand National, and there is no end to the trivia for a race that was first run in 1839. Even 100/1 Shots Can Win – To date there have been five horses who have won the Grand National with a starting price of 100/1: Tipperary Tim in 1928, Gregalach in 1929, Caughoo in 1947, Foinavon in 1967 and Mon Mome in 2009. Age Is No Barrier – It was a long time ago, but way back in 1853 a 15 year old horse called Peter Simple won the Grand National. It was the second time the gelding had won the race, first victory having come in 1849. 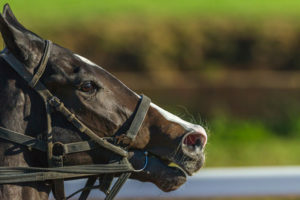 Grand National Lottery – Many people suggest that betting on the Grand National is akin to playing a lottery such is its unpredictable nature, so it is perhaps appropriate that the horse who won the very first Grand National in 1839 was called Lottery. Little vs Large – The lightest runner to win the Grand National was Freetrader in 1856 whose handicap was just nine stone, six pounds. Bobbyjo was the last horse to win carrying 10 stone or less (10 stone exactly for his 1999 victory). At the other end of the spectrum, four horses have won this stamina-sapping race while carrying a hefty load of 12 stone, seven pounds: Cloister (1893), Manifesto (1899), Jerry M (1912) and Poethlyn (1919). Incidentally, Poethlyn was also the shortest priced winner of the National with a starting price of just 11/4. Getting Frisky – The aptly named Mr Frisk posted the fastest winning time for the Grand National when he romped home in eight minutes and 47 seconds. This compares to the comparably sluggish winning time of the inaugural victor, Lottery, in 1839 who took just under 15 minutes to complete the race. Legendary Red Rum – Red Rum is the only horse to win the Grand National three times, in 1973, 1974 and 1977. He also finished in second place in 1975 and 1976 making him the undisputed king of the Grand National. His statue greets racegoers to Aintree and he is even buried at the winning post at the course. He is often cited as one of the main reasons the Grand National leapt to such public acclaim in the 1970s at a time at which its popularity was beginning to dwindle. The Grand National may be the star of the show but racing fans all have their favourite contests during the three days of the Grand National Festival at Aintree. There are more than 10 Grade 1s and several competitive handicaps to enjoy but the pick of the action away from the big race itself comes from the following races. Whereas the Grand National is the last of the big races during the Grand National Festival, the Aintree Bowl takes place early on Friday’s Grand Opening Day. 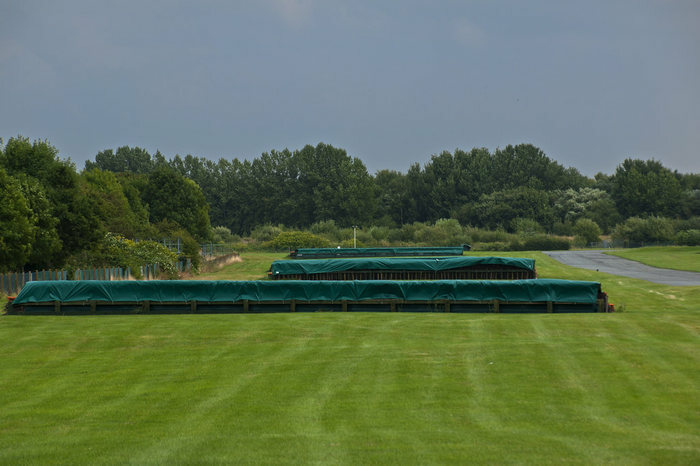 Run over 3 miles 1 furlong, this steeplechase is open to horses aged five and older. The Aintree Bowl has long been viewed as a chance for horses who either failed to win or even really compete in the Cheltenham Gold Cup to win a big, well regarded race. It’s only grown in stature in recent years thanks to a promotion to Grade 1 level in 2010. The popularity of the Aintree Bowl has also been helped no end by wins from the likes of Cue Card, Silviniaco Conti and Desert Orchid, each of whom were loved by racing fans. Silviniaco Conti’s win in 2015 made Paul Nicholls the first trainer to win the Aintree Bowl three times. It also made Silviniaco Conti the fourth horse to win the race twice; no horse had won it three times ahead of the 2019 renewal. The form of horses who won the biggest races at the Cheltenham Festival is always a major storyline coming into the Grand National Festival. That’s especially true with the Aintree Hurdle. This Grade 1 contest is run over 2 miles 4 furlongs, some 3½ furlongs longer than the Champion Hurdle at Cheltenham. For that reason, the Aintree Hurdle is seen as a great test of Champion Hurdle winners and since the first running of the race in 1976 we’ve seen high class horses such as Buveur d’Air, Annie Power and Istabraq complete the double in the same season. The extra distance of the Aintree Hurdle also attracts horses who would find the pace a little too sharp in the Champion Hurdle. There are three more hurdles to be navigated at Aintree (11 in total) so the best jumpers have more chance to utilise their advantage. It’s also a valuable race with the total prize fund reaching £400,000 in 2017. The Melling Chase is another of the races at the Grand National Festival where form from Cheltenham is poured over. The leading contenders from both the Queen Mother Champion Chase and the Ryanair Chase regularly do battle in the Melling Chase which is a Grade 1 contest run over 2 miles 4 furlongs. Named after the village of Melling which is very near to Aintree, the Melling Chase is a very well regarded prize and carried with it a total prize fund of £250,000 in 2018. It’s the highest profile race of Ladies Day, the second day of the meeting, and is often a very competitive betting market. Five horses have won the Melling Chase twice since its inaugural running in 1991. Being a shorter distance chase it tends to be won either by horses who excel at this sort of trip (think Sprinter Sacre or Voy Por Ustedes) or who are working their way up to longer races like Don Cossack who won the Cheltenham Gold Cup one year after his Melling Chase success. The Topham Chase is a Grade 3 contest run over 2 miles 5½ furlongs. The list of winners includes some quality horses but does lack a certain something compared to the other big races during the Grand National Festival. Despite that, it’s among the most popular races of the meeting. The reason for that popularity is that the Topham Chase is one of just three races run over the same fences as the Grand National (including the Grand National itself). The trip is considerably shorter than the Grand National but the challenge provided by the fences makes this compelling viewing. As you might expect, the best jumpers have a distinct advantage in the Topham Chase. For that reason experience has proven to be very important which is why older winners are common despite it being open to horses aged five and older. It’s also a fairly valuable race with around £70,000 being awarded to winning connections. Any good National Hunt festival needs a solid cast of supporting races. That’s exactly what you get with the Grand National Festival thanks to a combination of well-regarded Grade level races and some unpredictable handicaps. You’ll get no prizes for guessing that the Anniversary 4-Y-O Novices’ Hurdle is open to novice hurdlers aged four. It’s the second race of the Grand National Festival and tends to provide great entertainment. The Grade 1 has also provided some very good winners including Apple’s Jade, Zarkandar and Al Eile. Along with the Grand National and the Topham Chase, the Fox Hunters’ Chase is one of just three races run over the Grand National fences. It was initially run over the same distance of the Grand National but has since been cut to 2 miles 5 furlongs. The Fox Hunters’ Chase is open to horses aged six and older and to amateur jockeys only. The Top Novices’ Hurdle is among the premier races for novice hurdlers of the year. Often attracting the leading horses from the Supreme Novices’ Hurdle at Cheltenham but you have to go back to Browne’s Gazette in 1984 for the last winner of both races. This Grade 1 takes place over a distance of 2 miles 110 yards so tends to be run at quite a pace, often producing some exciting finishes. The Mildmay Novices’ Chase is a Grade 1 contest that takes place on the course at Aintree of the same name. It’s run over 3 miles 1 furlong and is open to novice chasers aged five and older. There are 19 fences to be navigated in what is a fairly stiff test of jumping. That test is a major reason why many winners of the Mildmay go on to have even greater success. The Maghull Novices’ Chase is run over the minimum chasing distance of 2 miles. It takes place on the final day of the Grand National Festival and has been won by some excellent horses since first being run in 1954 such as Douvan and Sprinter Sacre. Paul Nicholls’ horses should be followed in the Maghull as he is comfortably the leading trainer with Diego Du Charmil securing his eighth win in 2018. The Liverpool Hurdle may be a dramatically different race to the Grand National but as the race that immediately precedes the big one it plays the role of warm up to the crowds at Aintree. This Grade 1 is open to horses aged four and older but tends to be won by horses aged six and nine. The 3 miles ½ furlong trip is long for a hurdle so the Liverpool Hurdle is something of a race for specialists. The history of the Grand National is almost unrivalled in horse racing. It was first held all the way back in 1839 and in that time the big race itself has created some of the sport’s most legendary figures. Red Rum’s three Grand National wins made him one of the most beloved horses in all of racing whilst his trainer, Ginger McCain, will always be fondly remembered; Foinavon’s win in 1967 when he took advantage of the carnage in front of him and Devon Loch’s capitulation have gone down in legend; and Jenny Pitman will always be remembered as the first female trainer of a Grand National winner. They are each just a small part of the legend of this race which continues to grow every year. Over the years the importance of the Grand National Festival has increased dramatically. It is still the Grand National itself that grabs the attention of the public at large but racing fans mark the Aintree Festival in their calendar as the calibre of horses and races seems to improve every year.